As the heat of the summer fades and the leaves start to turn, our focus turns to the upcoming holidays starting soon with Hanukkah straight thru New Year’s Eve – it’s time to start getting ready for the holiday season! We work with many customers and designers alike who need a custom size for their table and we are prepared to take your orders now to ensure a beautiful setting for Thanksgiving. We have the capability to make almost any size you need and typically require 8-10 weeks to produce (for items like Marbella – hand embroideries like Merry Merry or Candy Cane require four months to customize). 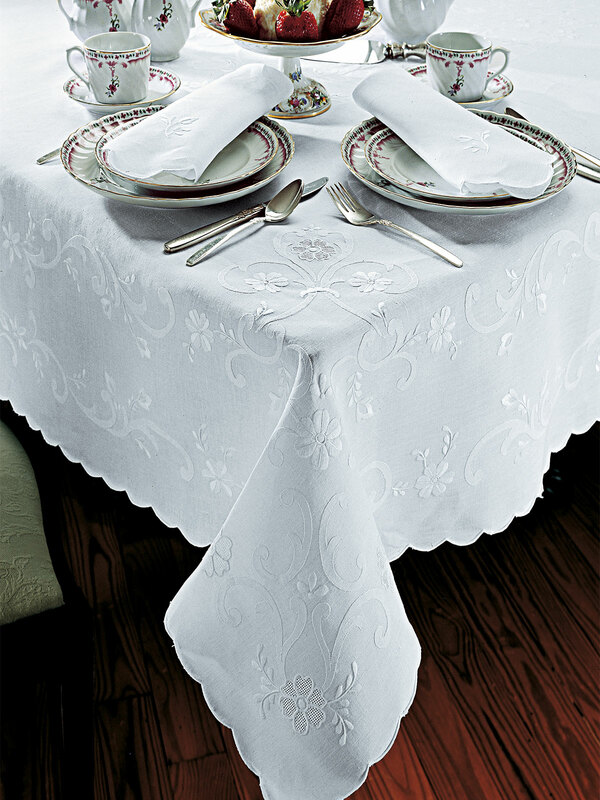 With that said we strongly recommend you contact us today to discuss your custom requirements or browse our new 2016 tablecloths collection, which feature delicate handwork of floral embroideries, exquisite hemstitching and bold colors. St Germain, for instance, is pure white linen from Italy and adorned with extravagant hand-drawn work. 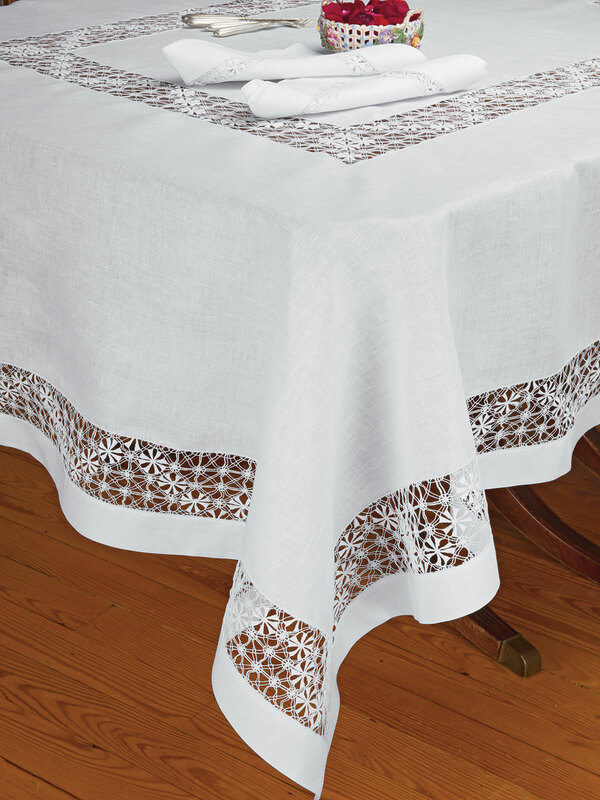 Your guests will revel in the simple beauty of this tablecloth, placemat and napkins. To truly customize, incorporate a color into the floral hemstitch and make it your own. St Germaine: Extravagant inserts of stunning hand-drawn thread work. 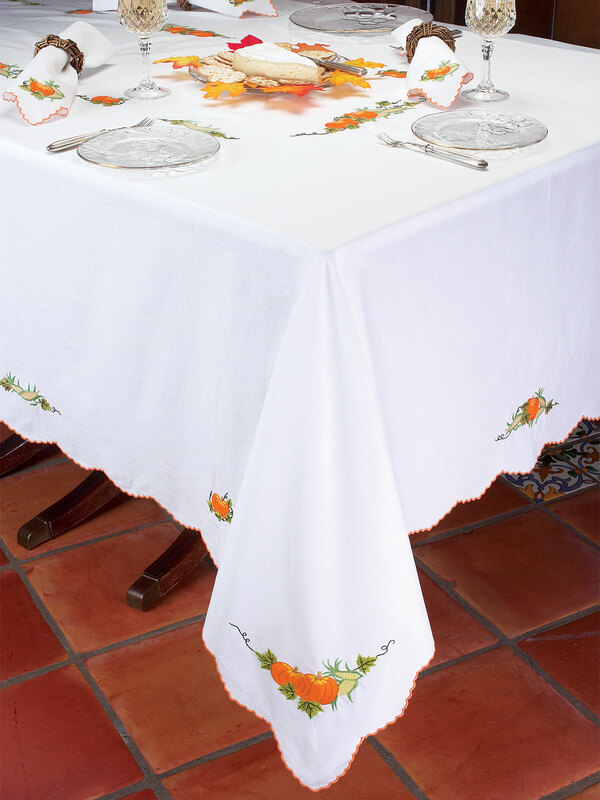 More and more we are meeting moms who enjoy having a fun celebration on Halloween and what better tablecloth to use for this occasion than our Harvest linens! Hand embroidered with festival pumpkins and a fall motif, perfect for any fall feast including Thanksgiving. ￼A colorful alternative to an all-white table is Coq au Vin. 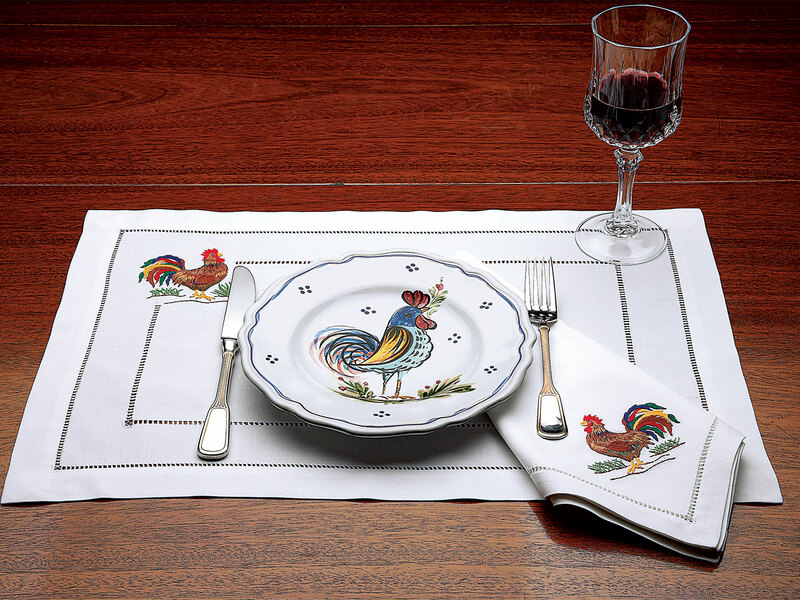 Featuring roosters embroidered by hand, with great expertise, on White 100% linen woven in delightful Italy. 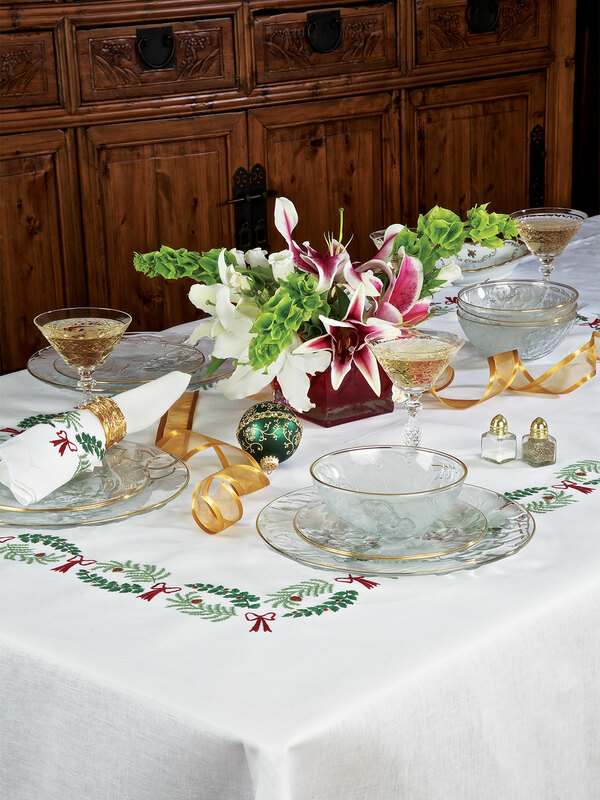 A classic tablecloth with exquisite floral arrangement shadow stitched all over, Patrician will ensure you have a beautiful table setting for any holiday dinner. Hand embroidered on 100% Italian linen. 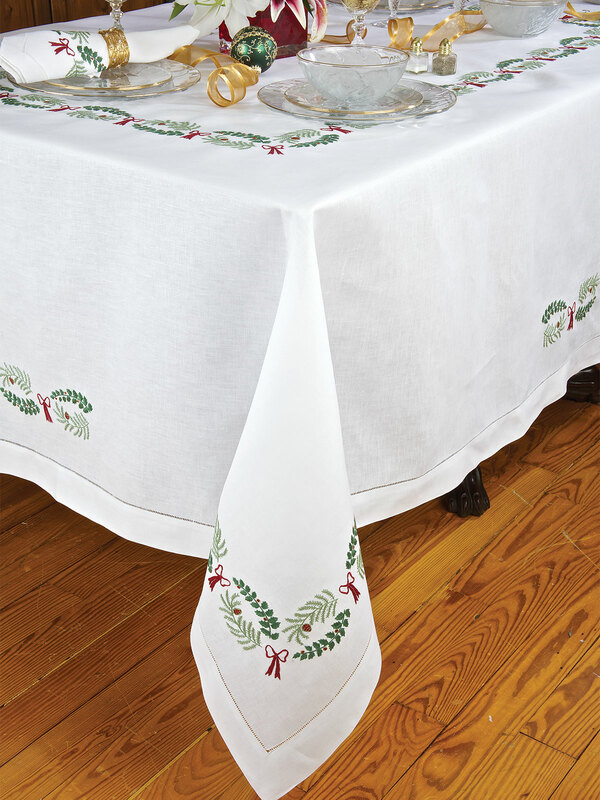 Liven up any Christmas Dinner with our festive table linens Candy Cane, Merry Merry & Holly Days. 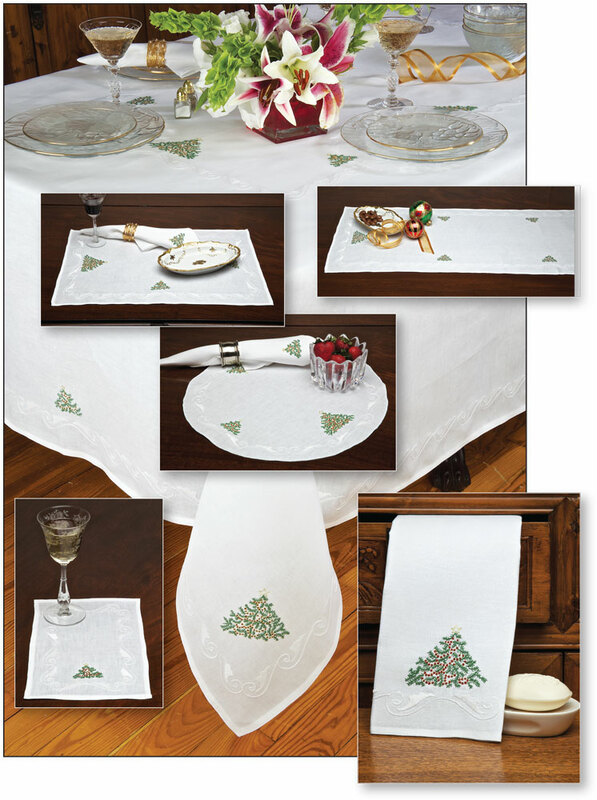 The lines include tablecloths, placemats, doilies, cocktail napkins, runners, guest towels and napkins and feature joyful hand embroidery of Christmas Trees or Garland decoration in green and red. Made on 100% Italian Linen. 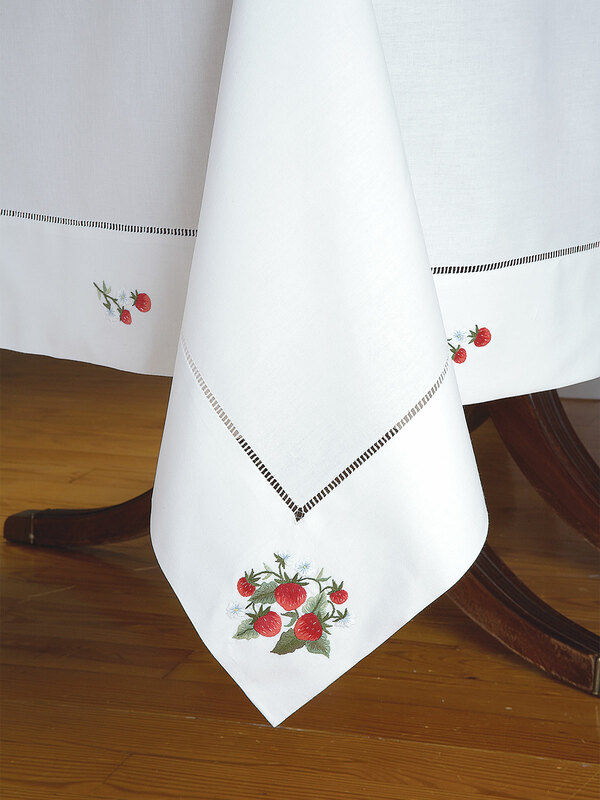 With its red ripe strawberries hanging from green leaves this tablecloth, Strawberry Fields, offers a refreshing look to any table. 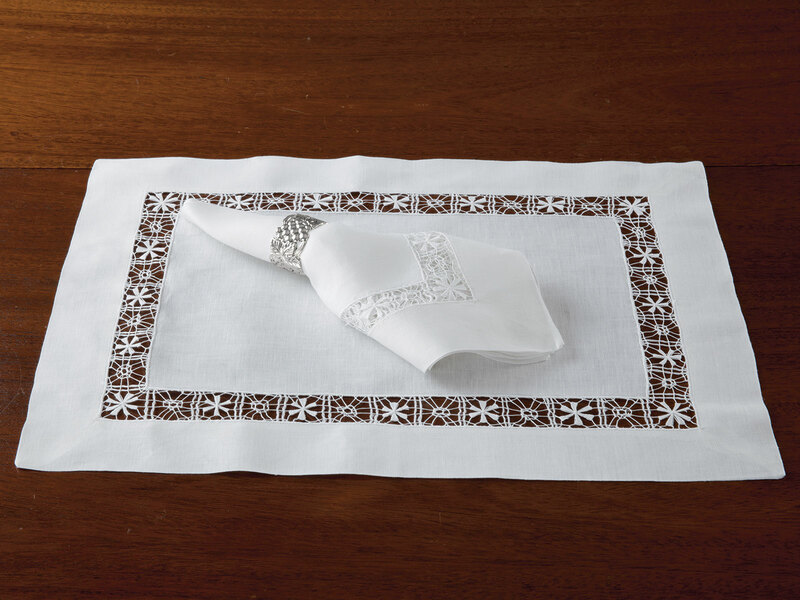 Artfully hand embroidered on Italian linen and finished with a hemstitched border. 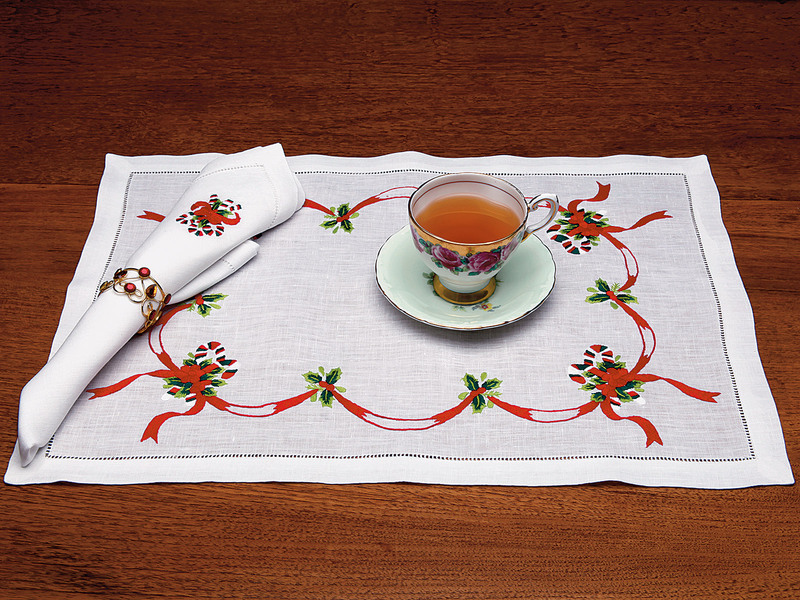 This could be an entertaining tablecloth to use for a New Year’s Day soiree. Marbella. 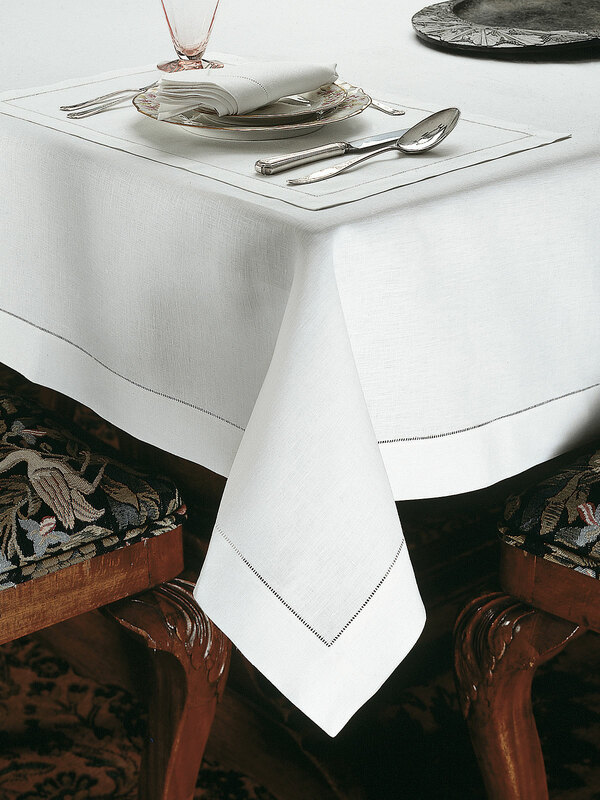 The simple, timeless elegance of pure linen hemstitched tablecloths, napkins and placemats, it’s the only tablecloth you may ever need and perfect for any occasion. Available in white or ivory linen and made in Italy ~ and easy to customize!